So, I recently started collecting 4k's like many and probably also like a few others, I refuse to part with my steelbooks from my Blu-ray collecting days especially when the 4k case alternative is a boring black eco case. At the very least, this practice of mine is helped by the fact that 4k disc only Ebay auctions are not that uncommon. For example, I have already done this with the Target exclusive steelbook to Ender's Game. 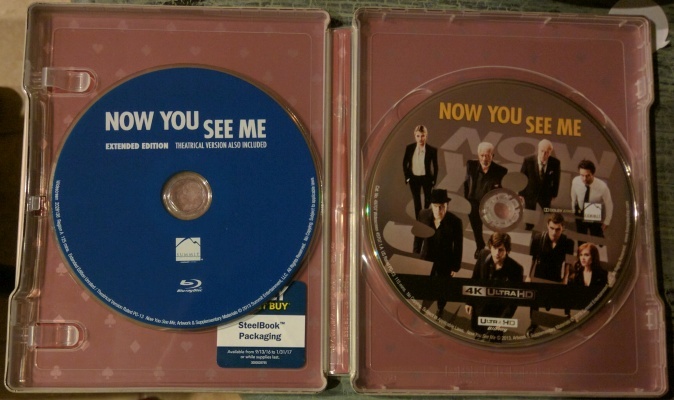 Take out the dvd from the steelbook, slip in the 4k disc, put the dvd in a generic 2-disc blu case with the other blu-ray (give the Blu-ray/dvd combo to a friend or unload it for a couple of bucks) and then keep the 4k case for replacements. I keep my steelbook, I make it 4k, a friend gets a cheap/free movie...everybody wins. Anyway, so I'm looking through my Blu-ray steelbooks and come upon X-Men First Class. It's available in 4k, and I have a steelbook...it's an one-disc steelbook though...so I'm about to put it back into my collection and move on. Until, I see prongs...for a tray of some sort (but no tray of course). The question would be....anybody have ANY idea where I could get a tray for this sucker? I would assume it be a clear tray...but looking on google doesn't leave me any real answers so I'm hoping somebody here with experience would know. If I need to post pictures, just say so. Thank you. Last edited by Kedrix; 03-13-17 at 10:26 AM. 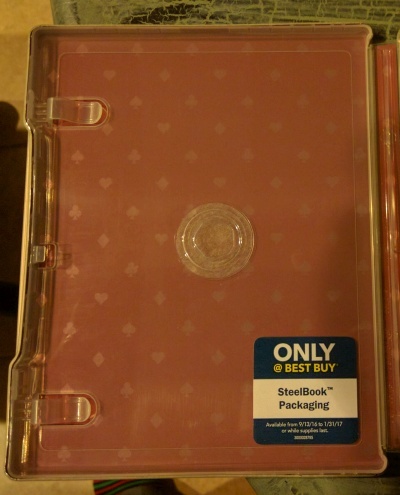 Re: Slipcover Tray for Steelbooks? One alternative (for others with the same questions) are these adhesive hubs (there are other variations but these are clear)...but I'm not sure if they would mess up the steelbook in anyway. Thoughts? Last edited by Kedrix; 03-15-17 at 04:03 PM. Welp, I got them last night and I have to say, I'm very surprised and impressed with how well these work. The tabs go on very easy (be sure to figure out the proper place to put them) and stay there. They are also the right size for the discs and only require a small push to get them on. You can also remove them if needed with little to no mess. Here are some pics, spoilerized for size. 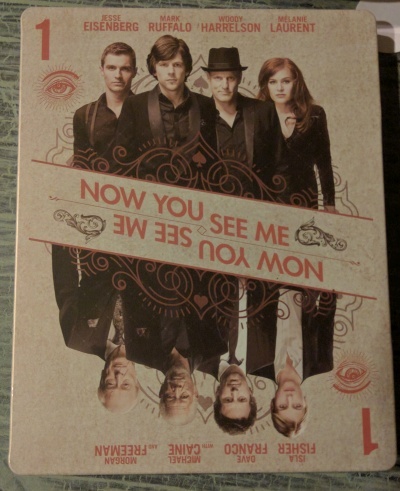 The subject is Now You See Me Blu-Ray steelbook, an one-discer, made into 2 for 4k. View Next Unread Where can I get the thick 2 disc DVD cases?